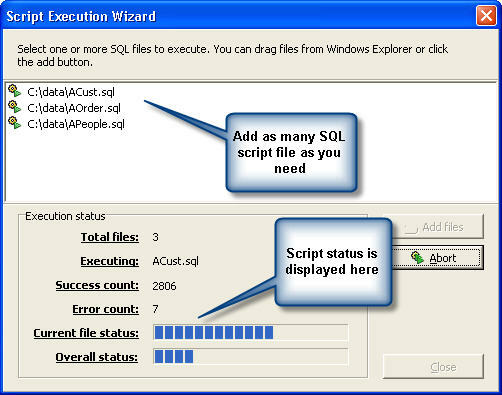 In earlier versions, users had to open a .SQL file in WinSQL's query tab then run the script. Now there is an alternate mechanism to run large set of SQL queries. IMPORTANT: This wizard is not designed to run SELECT statements. If SELECT statements are run, the generated resultset will not be displayed on the screen.